Abies procera Glauca, also known as the Noble Fir, is an attractive tree which makes a fine traditional Christmas tree. Its foliage has bright blue-grey needles that provide beautiful contrast in the garden through all seasons, but especially lovely in spring when new growth is at its most intense blue. The reddish brown cones stand very upright from the tree, making them very visible. 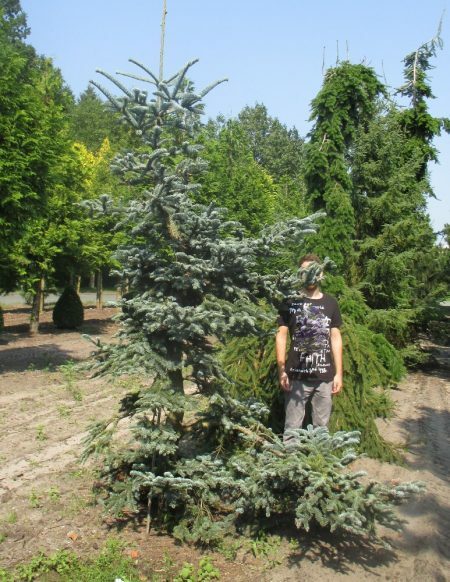 The Noble Fir prefers well-drained soil that is moist that is sheltered, thrives in direct sunlight.